A whistleblower triggered the ouster of the Nissan chairman, the company says. Emboldened workers are a small but significant sign of progress, given wider resistance to better governance. Investors are louder too. Bringing more corporate woes to light is one path to improvement. 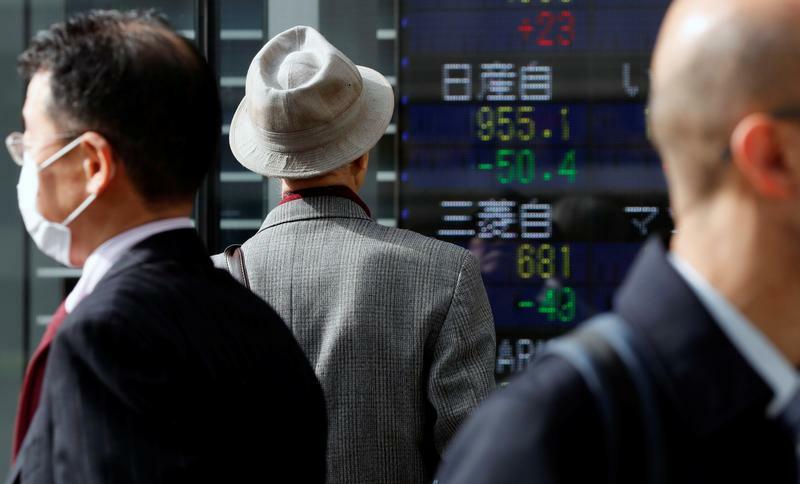 A man looks at a stock quotation board showing share prices of Nissan Motor Co (top) and Mitsubishi Motors outside a brokerage in Tokyo, Japan November 20, 2018. Nissan Motor Chairman Carlos Ghosn was arrested on Nov. 19 on suspicion of financial misconduct, after internal investigations at the group found he had, among other wrongdoing, made personal use of company money and under-reported his compensation. He is set to be removed as chairman on Nov. 22. Nissan said the probe was triggered by a whistleblower. Chief Executive Hiroto Saikawa said the problem of governance at the firm was “significant”. Recent cases of corporate bad behaviour in Japan include accounting irregularities at Toshiba and data falsification and improper inspections at a string of manufacturers, including Nissan.